Justin Ison is a Senior Success Engineer at Applitools. Previously, he was a senior software engineer at Microsoft Berlin, Germany working on the Wunderlist app. 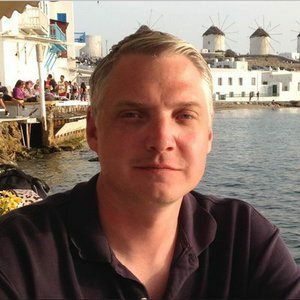 He has over twenty years of experience working on Software Quality, with the last eight primarily developing API, Web, and Mobile test automation. He is passionate about test automation and loves finding new efficient and effective ways toimprove software quality with software. In todays Agile world the time to market is becoming increasingly shorter. There is a constant desire to release new features to keep ahead of competition. Because of this we have a shorter amount of time to do exploratory and manual testing. Especially, when you have to account for all the different combinations of OS’s, languages, orientations, and resolutions your mobile app supports. Jason’s goal was to know more about my application for every new build. By using Automated Exploratory testing I could do so more efficiently.Specifically, I wanted to know:- Elements which had accessibility labels and which didn’t.- How my designs looked for every resolution and orientation we supported by taking a screenshot. – Capture any logs errors and record them.- Detect language or locale issues. – Capture performance metrics for benchmarking and detecting trends. – The ability to replay a test after a code fix.